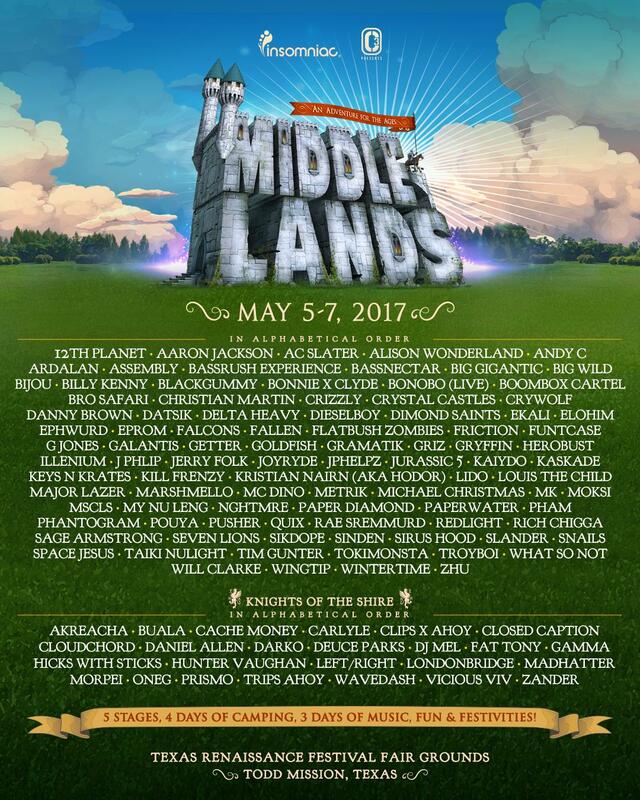 Middlelands Festival, which makes its debut at the Texas Renaissance Festival Fair Grounds in Todd Mission, Texas from 5th through 7th May, has revealed names for The Stronghold. Serving as the festival’s bass stage, Middlelands has locked Funtcase, Crizzly, 12th Planet, Goldfish, Andy C, Bro Safari, Lido Datsik and many more for The Stronghold. Middlelands has also announced additional headliners of the Medieval-themed camping festival to include Louis The Child, Crystal Castles and GRiZ. They join previously announced names including Marshmello, Bassnectar, Major Lazer, Alison Wonderland and more. View the full Middlelands Festival line-up below and purchase your tickets here.